Mini can be used with the 6-1/2" Tool or all by itself. 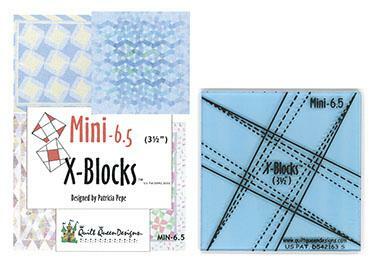 Four Minis = One 6-1/2" X-Blocks Tool. With the X-Blocks rotary cutting tool, you can create dozens of spectacular designs that look complex but are incredibly quick & easy!